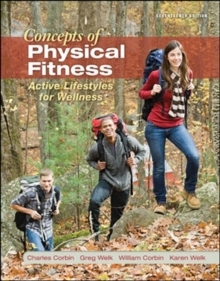 Fitness for Life: Middle School is thoroughly updated to address the new national physical education standards, physical activity guidelines, FITT formulas, and USDA nutrition guidelines. 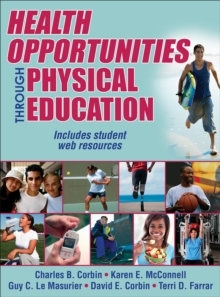 In addition, it is greatly expanded and offers plenty of new material: - New material on coordinated school health, nutrition, skills, and safety (making the book easy to use in schools with combined PE/health classes) - New integration of fitness concepts into math, science, and language arts - New technology sections that engage students in applying technology to their fitness - A new student interactive web textbook - A new teacher online bundle New Interactive Web Texts Offer Great Benefits The student interactive web textbook contains the same content as the print book but uses interactive audio, video, worksheets and other great activities to help students engage with the material and enhance learning. The interactive web textbook offers audio vocabulary and definitions in English and Spanish. Introductory videos at the beginning of each lesson help students assess their knowledge going in, while videos at the end of each lesson help students put what they've learned into context. The teacher online bundle provides teachers with all the materials they need to teach the course--lesson plans, worksheets, rubrics, quizzes, slides, newsletters, and other supporting resources. Teachers can easily access the materials on their computers, laptops, or mobile devices, and they can print whatever they need for use in the classroom or in activities. Loose-Leaf Packs Available Teachers also have the option of purchasing binder-ready resources. This loose-leaf pack includes all the resources from the teacher web text except the slides and the test bank. The loose-leaf pack allows teachers to have all the printable resources already printed for them on hole-punched paper, ready to be put in a binder in any order they choose. They can even leave some material out and add materials of their own. 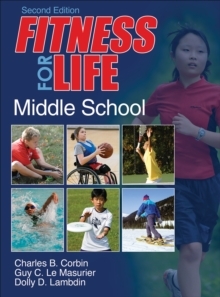 Flexible in Its ApplicationFitness for Life: Middle School, Second Edition, is the middle school version of the award-winning Fitness for Life, Sixth Edition. As such, it is a great bridge to the high school program. 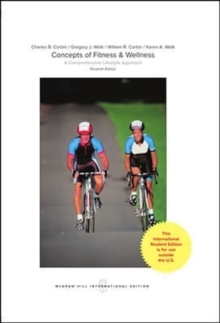 Teachers can use the units and chapters in a fitness unit, a single-semester class, or a yearlong course, with any configuration of days, in either a gym or a classroom. 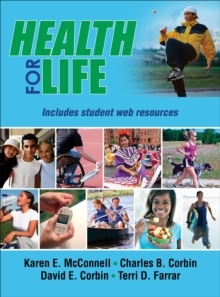 One of the only personal fitness textbooks available for middle schoolers, Fitness for Life: Middle School, Second Edition, offers a foundation for students to get physically active and remain active throughout their lives.